Globally speaking, humans now enjoy longer, healthier lives than at any point in history. We have come a long way since Hippocrates first advocated logic as a way to understand disease. For two millennia, the doctors and researchers who followed him based their conclusions on what they could see with the naked eye. The invention of the compound microscope in the 17th century changed everything, opening the door to the discovery of cells. Then, the advent of germ theory in the mid-19th century proved that microscopic invaders can infect our bodies. Decades later, the discovery of DNA and subsequent experiments revealed how diseases can lurk within our own genetic code. Recent advances in biochemistry illuminated the infectious power of rogue proteins, such as the prions that cause variant Creutzfeldt-Jakob disease—a form of “mad cow” disease that affects humans. To understand disease is to appreciate that it works at a variety of scales. Fittingly, it is impossible to apply a one-size-fits-all approach to disease research. Scientists in the University of Maryland’s College of Computer, Mathematical, and Natural Sciences are tackling the dynamics of infectious and hereditary diseases at all scales, from complex multispecies conditions, such as malaria, to whole-body aging disorders; from the flu with its organ-specific infection pathway to the submicroscopic structure of disease-causing viruses and disease-fighting antibodies. 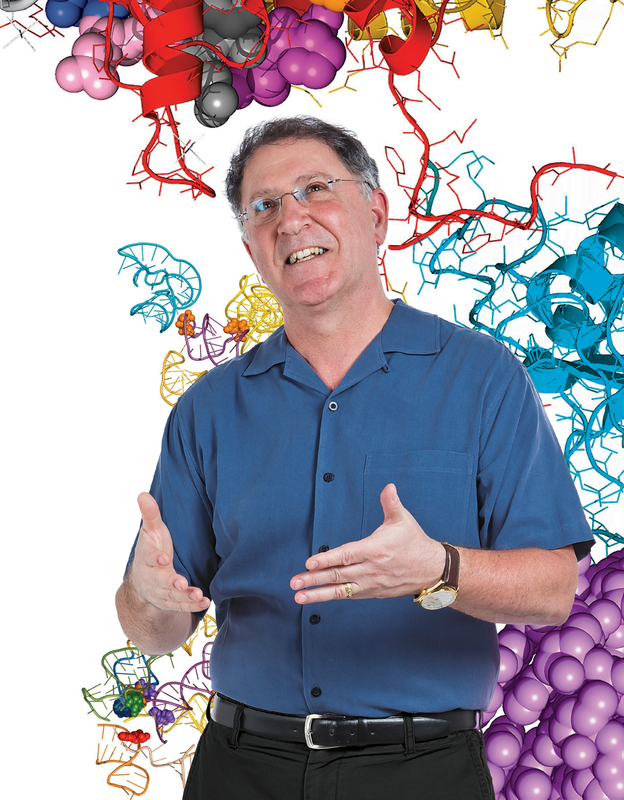 Jonathan Dinman, professor and chair of the UMD Department of Cell Biology and Molecular Genetics, has explored disease at a variety of scales throughout the course of his career. Like Dinman, diseases adapt. Genes mutate. New strains of viruses and bacteria emerge. Antibiotics and other tried-and-tested treatments lose their effectiveness. For many life scientists, staying ahead of the curve means engaging in an arms race against deadly diseases. From multispecies to the submolecular scale, UMD researchers are fighting human diseases on multiple fronts. Malaria is a notorious global killer, claiming nearly half a million lives every year according to the World Health Organization (WHO). Among researchers, the disease is also notorious for its complexity: any successful anti-malaria strategy must account for the biology of three organisms—humans, mosquitoes and the parasite Plasmodium. 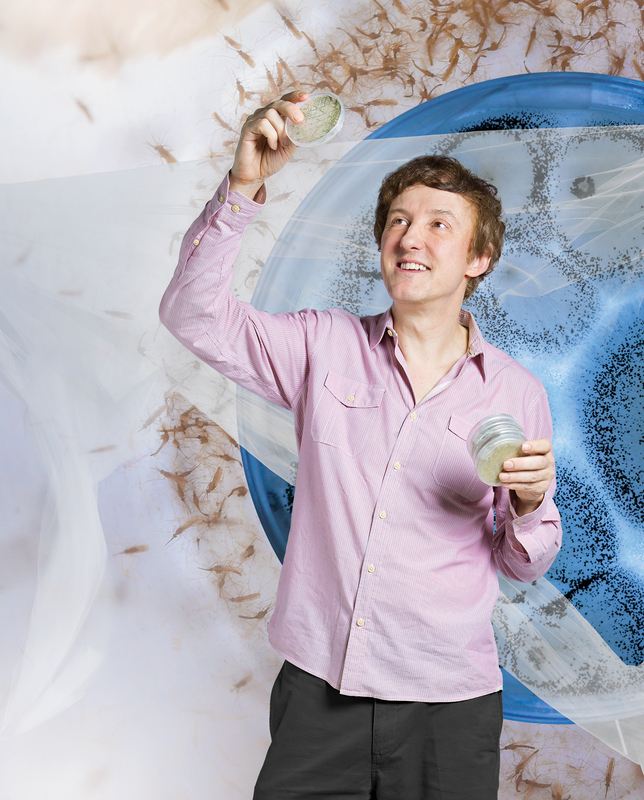 St. Leger’s research adds a fourth layer of complexity: pathogenic fungi that specifically target insects. When these fungi come into contact with an insect’s body, the spores germinate and penetrate the insect’s exoskeleton, eventually killing the insect host from the inside out. Consequently, researchers have looked to these fungi as a way to control mosquitoes—and thus rates of malaria infection—in high-risk areas. In collaboration with colleagues from Burkina Faso, a landlocked country in western sub-Saharan Africa, St. Leger’s group zeroed in on the fungus Metarhizium pingshaense—a natural killer of disease-carrying mosquito species including Anopheles gambiae and Aedes aegypti. To supercharge the killer fungus, the researchers genetically engineered it with several genes that express neurotoxins from spider and scorpion venom—both alone and in combination with other toxins. They published their results in June 2017 in the journal Scientific Reports. Each engineered fungal strain killed wild-caught mosquitoes in Burkina Faso more quickly and efficiently than the unaltered fungus. But the most effective strain used a combination of two toxins already approved by the U.S. Environmental Protection Agency for insecticidal use: one derived from the North African desert scorpion Androctonus australis and another derived from the Australian Blue Mountains funnel-web spider Hadronyche versuta. When St. Leger, Lovett and their colleagues inserted the toxin genes into M. pingshaense, they included a highly specific promoter sequence, or genetic “switch.” This fail-safe ensured that the toxin genes could only be activated in the blood of insects and could not be released into the environment. To further ensure the safety of non-target insect species, the researchers tested the engineered fungal strains on local Burkina Faso bees. After two weeks, no bees had died as a result of the toxin-boosted fungus. The need in Burkina Faso is dire: according to the WHO, malaria is omnipresent throughout the country and the parasite has grown resistant to the antimalarial chloroquine. The mosquitoes there have also grown resistant to traditional insecticides, according to local scientists. St. Leger and his collaborators plan to expand their on-the-ground testing regimen in Burkina Faso. One goal is to determine the best way to combine genetically engineered fungi with other interventions, including chemical insecticides, to prevent the evolution of resistance. Eventually, the team hopes to deploy their engineered fungal spores over a wide area to test their impact on malaria transmission. While malaria requires humans, mosquitoes and parasites to exert its deadly effects, a rare genetic disease called progeria requires only a single person. But it impacts every cell in that person’s body. Progeria mimics the normal aging process at an accelerated rate. Symptoms typically appear within the first year of life, and individuals with the disease develop thin, wrinkled skin; fragile bones and joints; full-body hair loss; and organ failure, among other complications. Most individuals with the disease do not survive past their teen years. A defect in a single gene causes progeria. The gene produces a protein called lamin A, which sits just inside the nucleus of every cell in the body, under the nuclear membrane. Healthy cells snip off a small piece of each new lamin A molecule—a small edit that is necessary for lamin A to work properly. Cells with progeria, however, skip this important editing step. The defective lamin A interferes with the nuclear membrane, causing the nucleus to form bulges and deformations that make normal functioning impossible. One of Cao’s earliest efforts involved the drug rapamycin, an immune suppressor commonly used to prevent the rejection of transplanted organs. She and her collaborators found the drug capable of reversing some of the cellular-level symptoms of progeria, while clearing out some of the defective lamin A proteins. But the cells still retained many of the defects associated with progeria. Next, the researchers identified another compound that showed even more promise for treating progeria symptoms: methylene blue. In a 2015 study in the journal Aging Cell, Cao and her colleagues suggested that this common, inexpensive and safe chemical once used to treat urinary tract infections and other conditions could also be used to treat progeria. Small doses of methylene blue reversed many of the most damaging cellular-level symptoms of progeria, including misshapen nuclei and mitochondria, the small organelles that produce energy for the cell. Cao wants to extend her discoveries about progeria to the processes of normal aging. Here again, methylene blue shows promise. In a 2017 study in the journal Scientific Reports, Cao and her colleagues found that methylene blue could slow or reverse several well-known signs of normal aging when tested in cultured human skin cells and three-dimensional simulated skin tissue. Cao’s team also developed a three-dimensional skin model system, which her team used for further testing of methylene blue. The results suggested that methylene blue can increase skin’s thickness and ability to stay hydrated, while causing little to no irritation, even at high concentrations. Encouraged by these results, Cao hopes to develop safe and effective ways for consumers to benefit from the properties of methylene blue. Relatively speaking, whole-body diseases like progeria are an exception to the rule, because most diseases affect a single organ or a few organ systems in the body. The flu, for example, exploits vulnerabilities in one organ system—the respiratory system—to find its way past human defenses. 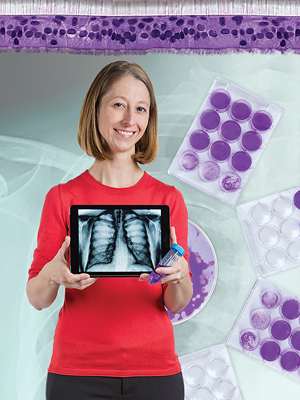 UMD Cell Biology and Molecular Genetics Assistant Professor Margaret Scull, who joined the department in 2016, studies the defense mechanisms that the human respiratory system uses to exclude most invaders, including the flu virus. 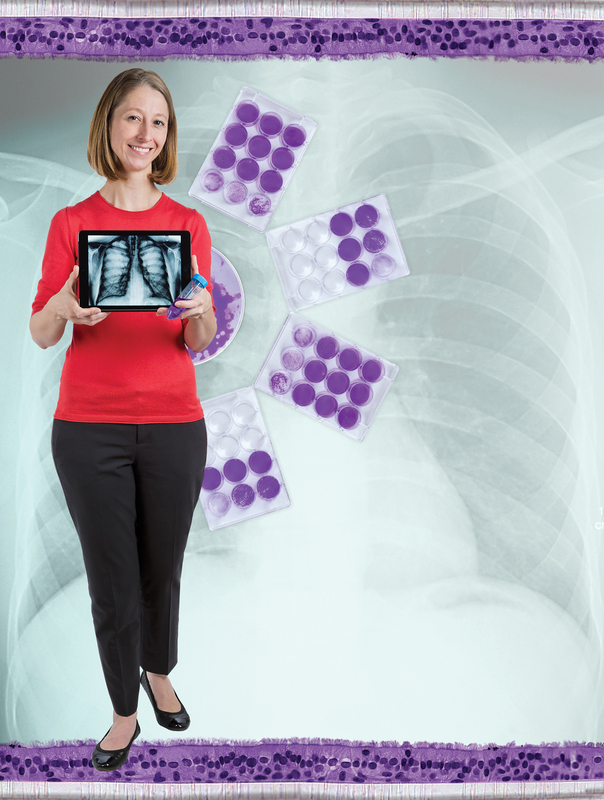 The respiratory system is an impressive defender of human health. Simple at first glance, but complex and multifaceted on closer inspection, many of the respiratory system’s defenses lie in the epithelial cells. These delicate cells line the inner surface of the lungs and form an interface between the external environment and the interior of the human body. Airway epithelial cells also have physical mechanisms that help protect us. Cells with hairlike projections called cilia line our respiratory tract, and the orchestrated movement of these cilia creates an “escalator” that can clear unwanted visitors out of the airway. “I’m very interested in how these biochemical and physical defenses play out under different conditions,” Scull added. It is difficult to study the dynamics of airway infection in living humans—the protocols would be far too invasive and the number of variables would complicate the analysis. Studies on cultured cells grown in the lab are also of limited value. As a result, Scull uses a three-dimensional model of human airway epithelium, which allows her to investigate the activity of the ciliated cells that can physically force out invaders. The model can also highlight how different cell types in the epithelium respond to viruses. 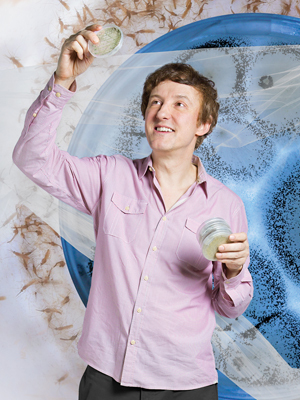 To construct the model, Scull begins with human lung cells grown in a plain cell culture dish. Next, she carefully arranges and treats the cells to encourage them to differentiate, or develop into the different types of cells that form the epithelium in human airway tissues. Scull says that some newer systems use stem cells, the extraordinarily versatile cells that can differentiate to form any cell type in the body. Other techniques can reprogram adult lung cells to temporarily behave like stem cells and gain the ability to self-renew. And not a moment too soon for Scull, who is eager to move on to more involved investigations. Her next target is the interaction between viruses and mucin molecules—relatively enormous proteins that form the protective mucus that coats our airway. For many hereditary diseases, researchers dive deeper than organ systems, directly targeting the defective genes in a person’s DNA. 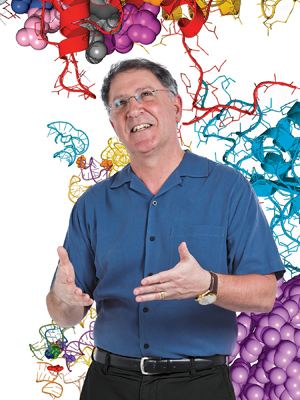 But for Jonathan Dinman, professor and chair of the UMD Department of Cell Biology and Molecular Genetics, a person’s RNA holds much more promise as a research target. If DNA is the “hard drive” that contains all of our genetic information, then RNA—DNA’s close cousin—is more like the files and programs that do the meaningful work. The simplified model goes something like this: DNA contains genes, which a cell copies into RNA molecules. Then the cell reads the RNA to create proteins. Much of Dinman’s research centers on a clever mechanism called programmed ribosomal frameshifting (PRF), which allows RNA to pack more information into a single small molecule. By prompting the cell to read the RNA molecule two different ways, one RNA molecule carries the code for two proteins. In effect, it is much like the data compression algorithms that computers use to package large files. Many viruses that cause human disease—including HIV, Zika and chikungunya—use RNA as their genetic material instead of DNA. These viruses also use PRF to carry more information. Dinman studies how PRF works in RNA viruses and whether PRF can be exploited to defeat certain diseases. The simple answer appears to be yes. Dinman recently looked at PRF in the context of Venezuelan equine encephalitis virus (VEEV), which is an unforgiving killer of horses, donkeys and zebras. Mortality rates reach as high as 80 percent among animals infected with the virus, and the virus can also infect humans. The U.S. and Soviet Union both weaponized VEEV during the Cold War, prompting the Centers for Disease Control and Prevention and the National Institutes of Health to classify VEEV as a category B pathogen. Dinman and his colleagues created a mutant version of VEEV with a disrupted PRF mechanism. Tests in cultured cells did not reveal a large difference in the rate of virus production. But when the researchers tested the mutant virus in mice, they saw a dramatic increase in the rate at which infected mice survived the disease. Dinman and his colleagues published the results in the Journal of Virology in November 2016. The possibility of using PRF to defeat a number of dangerous viruses encourages Dinman. He also strongly suspects that PRF is widespread among all life forms, noting that viral models provide the best opportunity to dig deeper. 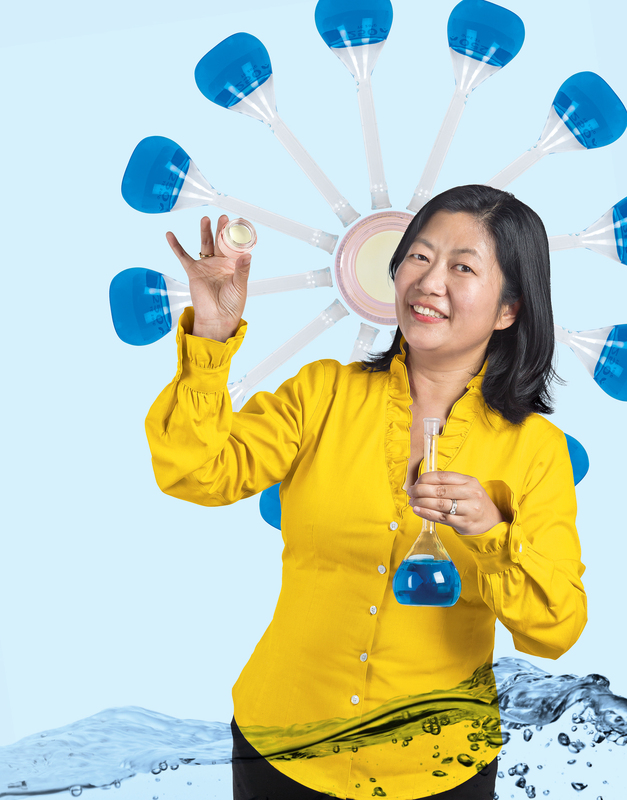 Lai-Xi Wang, a professor of chemistry and biochemistry at UMD, searches through even smaller haystacks. Much of his research program focuses on the role that molecules known as glycoproteins play in the body’s defenses against disease. Antibodies, the foot soldiers of the immune system that identify invading viruses and bacteria, are complex and highly specific glycoproteins. An antibody’s sugar groups play a large role in determining its function. Due to subtle, yet important, differences in the structure of sugar groups, two otherwise identical antibodies might not be equally good at recruiting immune cells to kill an invading pathogen. 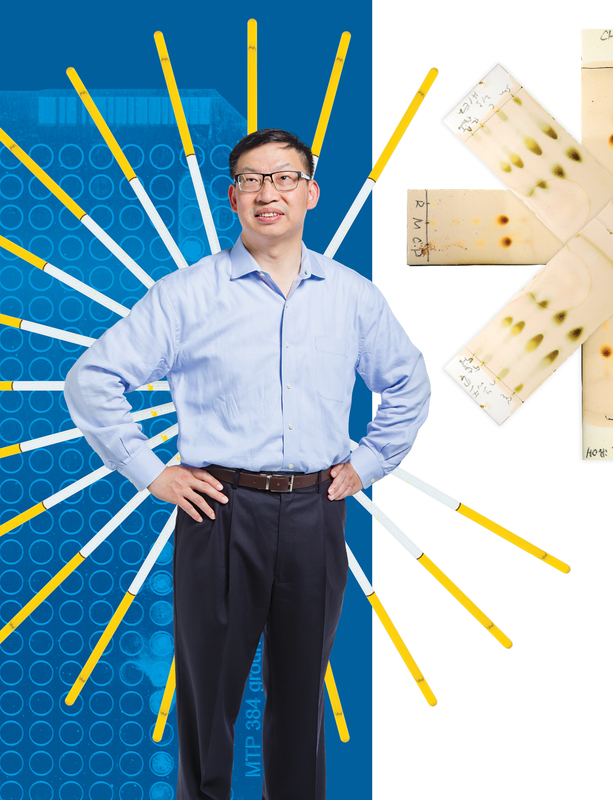 To address this issue, Wang and his collaborators developed a method to modify an antibody’s sugar group structure and create antibodies with consistent sugar groups. In March 2017, Wang and his colleagues published a study in the Proceedings of the National Academy of Sciences that went a step further, determining which specific sugar combinations enhance or suppress an antibody’s ability to signal the immune system to attack an invader. Even in antibodies currently used for disease therapy, a given dose might contain a wide variety of antibody variants, known as “glycoforms,” distinguished by their sugar groups. 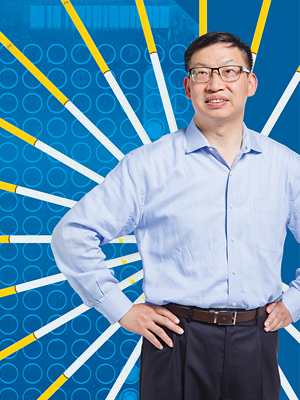 The ability to engineer consistent glycoforms excites Wang because he says it will open a lot of doors to new therapies. Biochemists could generate highly specific therapeutic antibodies to target cancer cells and encourage the body’s immune system to kill off tumors. Erythropoietin—the hormone that prompts the body to generate new red blood cells—could be engineered to treat anemia more efficiently. And Wang’s lab is already looking at one particularly high-profile application: the prevention and treatment of HIV. In recent years, researchers have discovered a number of neutralizing antibodies that can target these unusual sugar structures. Wang’s lab is in the process of identifying structures like these on the sugars that HIV uses to mimic human cells. This is a necessary first step, Wang said, and could enable the design of custom antibodies capable of neutralizing the virus consistently and efficiently. This, in turn, may one day provide a template for vaccine design. UMD researchers are optimistic regarding the future of disease research. But the push and pull of conflicting forces in the arms race against disease leaves some room for uncertainty. St. Leger can relate to the socio-economic dimensions of disease research. Working to fight malaria on the ground in Burkina Faso, he realized that social and cultural considerations are important pieces of the puzzle as well. While climate change and increases in population and global mobility are widely expected to enhance the spread of disease, the research community stands well poised to counter with ingenious solutions at all scales, from multispecies to submolecular. Dinman, for his part, is bullish on the future of disease research. He thinks that the rapid pace of technological innovation coupled with the advanced state of human knowledge has put the human race in a good position. 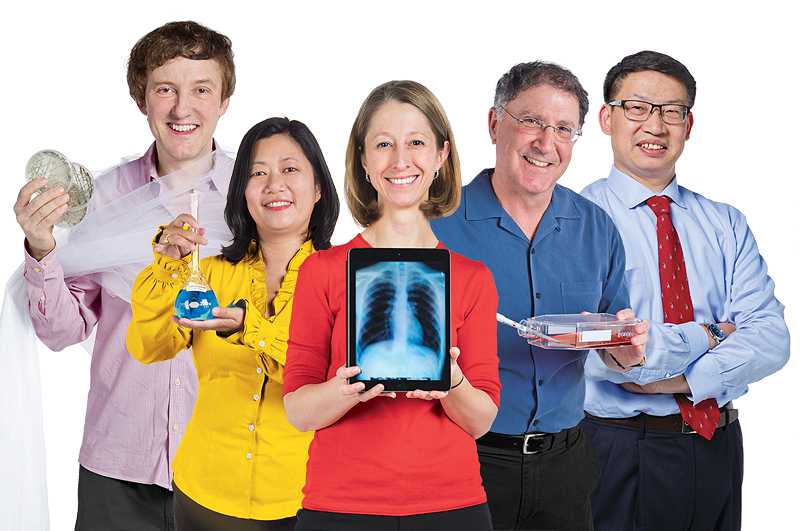 Disease-fighting Alumni: A sidebar highlighting alumni whose research aims to improve the lives pf people living with autoimmune diseases, HIV and breast cancer.